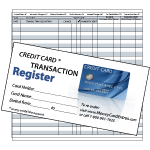 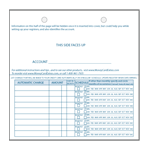 When multiple credit card registers are used in a single checkbook cover, these custom designed tab dividers separate the registers from each other so that you can go directly to the register you want without confusion. 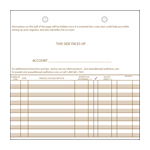 The tabs themselves are mylar coated for durability and are writable, so you can write a brief title on each tab. 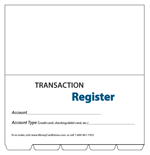 The tabs are sold in sets (the price indicated is for the set), each set containing five proportionately spaced tabs to separate the credit card registers, plus a 6th tab divider (not shown), with different graphics, to set apart a debit card/checking account register (its position duplicates the 3rd tab of the 5-tab credit card set). 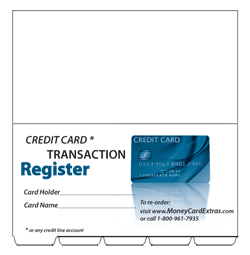 The credit card dividers have the exact same graphics as the top covers of the credit card registers: the outside has the same graphics and layout as the outside cover of the registers, and on the reverse side there are instructions, the same as on the inside cover of the registers. 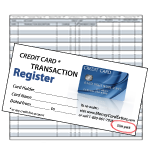 This creates a visual harmony and seamless flow from one register to the next in your checkbook cover, as each tab divider in effect replaces the top cover of the register (which itself is hidden under the checkbook cover's pocket, the graphics of which are now made visible on the tab divider). 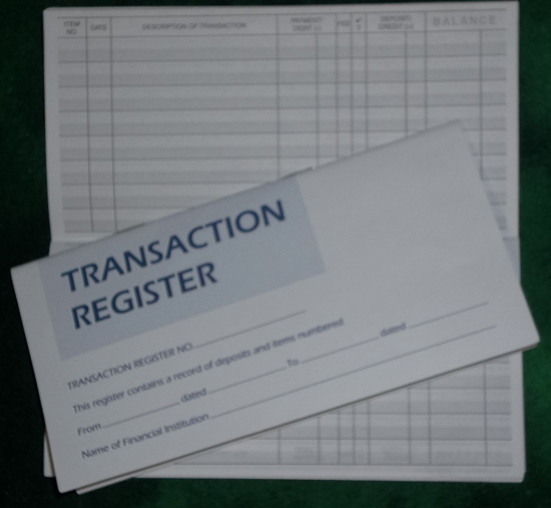 As mentioned, an added, sixth tab divider is provided to separate a general banking/debit card register from the credit card registers (not shown).